The highly anticipated 12th edition of Canon PhotoMarathon Malaysia 2018 witnessed the participation of over a thousand photography enthusiasts from all walks of life. The one-day competition saw an incredible demonstration of photography creativity and talent to capture photos based on three themes: ‘Hidden’, “Beauty of Earth’ and ‘Fragile’, which are only revealed onsite throughout the course of the competition. The challenges pushed participants’ creative boundaries and showcased their skillful techniques in producing stunning photographic masterpieces. According to Andrew Koh, President and Chief Executive Officer of Canon Marketing (Malaysia) Sdn. Bhd., Canon PhotoMarathon continues the company’s tradition of cultivating a photography culture and fueling the thriving interest amongst local photography fans by providing them a platform to share their work with a wider audience. He added, the competition also serves to unearth budding photographers and Canon is proud to help develop their photography interest and help them grow their skills to the next level. A photography competition requires a world-class panel of judges, and that’s exactly what the Canon PhotoMarathon event has assembled at Sunway City. The judges for this year include, Canon EOS Ambassador and travel photographer, Bonnie Yap; chief photographer of the European Pressphoto Agency (EPA) in Malaysia, Fazry Ismail, and award-winning Wedding Portrait Photographers Asia ambassador, Chai Kok Leong. These judges represent every important sector in the photography industry, they have extensive experience with event, landscape, and action photography. The photography competition saw 10 individuals and 3 group winners, with 33-year old Mohd Safuan Salahudin from Kedah, emerging as grand prize winner in the Open Category receiving the highest overall score across the three themes. He won an exclusive all-expenses-paid photography trip to Japan to participate in the Canon PhotoMarathon Asia Championship alongside winners from 12 other countries as well as the newly launched Canon EOS R mirrorless camera.“I am thrilled to have finally achieve my dream of being the Canon PhotoMarathon Malaysia grand prize winner! I look forward to the privilege to learn from Canon’s experts and the chance to exchange knowledge and experience with my peers from around the region,” said Safuan. In the Open Category, Sadiq Asyraf Mohd Yusof emerged victorious as first prize winner, followed by Nursanto Soeradi Somo and Shahrizul Ahmad Shukri in second and third place respectively, while three winners walked away with consolation prizes. The young guns come out blazing with 18-year-old Darren Lee Tze Huei topping the Student Category. Main event partner, Sunway City theme bonus Category was won by Choon Pang Heong who walked away with a special prize. 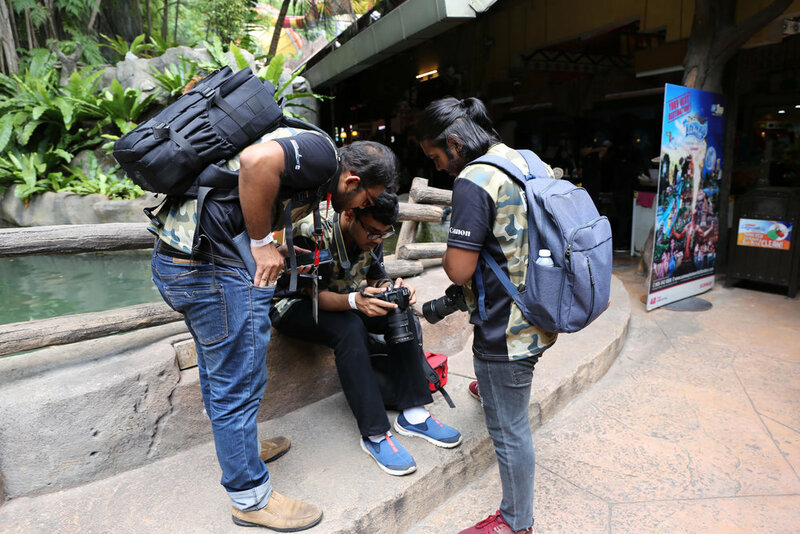 In Canon’s continuing effort to nurture young talents, the Canon PhotoMarathon Malaysia this year featured its first Inter-Varsity Challenge which saw over 90 teams from 20 institutions of higher learning compete in groups of four. The team from Management and Science University comprising of Mohd Luqman Alif Bin Mohd Zubir, Aferedolenc Joris @ Satafanus, Mohd Rafiq Redzuan Bin Hamzah and Nurul Ashikin Bt Razali taking home the first prize. Winners also took home a host of prizes from sponsors including Western Digital, Viewsonic, Luminox, Sandisk, Grab, Digital Camera Magazine, Photobook Worldwide and Herschel Supply.